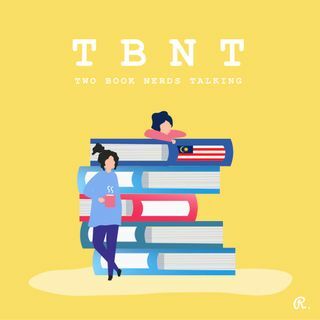 In the Season finale of Two Book Nerds Talking, hosts Diana and Honey are joined by special guest Thean Kew, a radiologist with a voracious appetite for books. We all talk about our best reads of 2018 and what to anticipate in 2019. All in all a good reading year for all of us, from books on family sagas, chess players, thought-provoking reads and poetry for all occasions. Kew, being an avid traveller and finder of great places to put up your feet and read, shares his Top Staycations within ... See More Peninsular Malaysia. You don’t want to miss this episode! Happy New Year bookish friends!